Sure, it was originally a Jeep knock-off, but it's impossible not to appreciate the sheer brilliance and badassery that's built into every Toyota Land Cruiser. Generation after generation, the Land Cruiser remains one of just a small handful of vehicles you could drive across virtually any land on Earth. If you want one that's brand new -- and modernized -- you don't have a lot of options. Icon 4x4 is renowned for its excellent FJ, but it comes at a price that rivals many supercars. Coming in at the reasonably affordable (but still extremely nice) end of the spectrum, is the aptly named FJ Company. With prices starting in the mid $50,000s, including the price of the vehicle, it presents a tempting value proposition: would you rather have an all-original and very clean FJ in the mid $40,000s, or an absolutely perfect, better-than-new one for a few grand more? If your choice is the latter, read on. What is this magical place, and how do I move there? 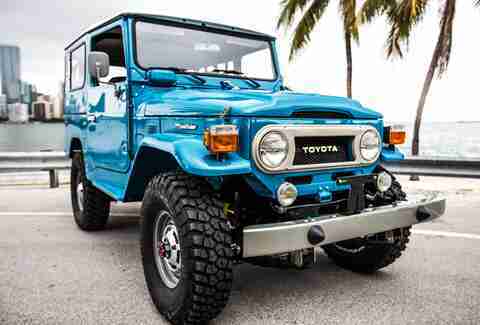 FJ Company is a Miami-based company that, well, specializes in the old FJ Land Cruisers. They do complete restorations, which means literally disassembling every component, polishing, painting, or replacing it, and putting them back together. The end result, even at the base level, is a vehicle that's put together with far more love, affection, and quality than the factory ever could. The base level, if you can call it that, is called "The Classic." 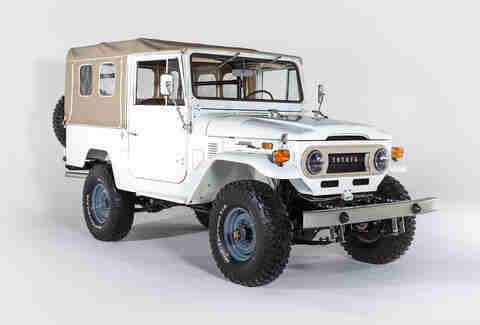 It starts at $55,000, and gets you a wonderfully mint 1980s-era FJ40, plus modern brakes and a freshly rebuilt engine. Of course, there's also a list of optional extras that's as long as your wallet is heavy. The next step up the ladder is the California, which adds $10,000, but gets you a 1970s FJ40 with all the same improvements as the 1980s. If you're not a die-hard FJ enthusiast, you might not see the difference between the two, but if you actually live in California, there's one crucial factor that makes all the difference in the world: it's old enough to be exempt from California's notoriously stringent emissions standards. Now for the real fun. 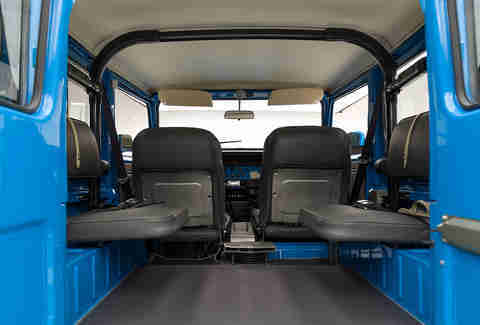 The Sport package is again an '80s-era FJ40, and comes with a suite of standard features like an upgraded and more reliable engine, air conditioning, killer sound system, etc. And of course, it can go up from there. 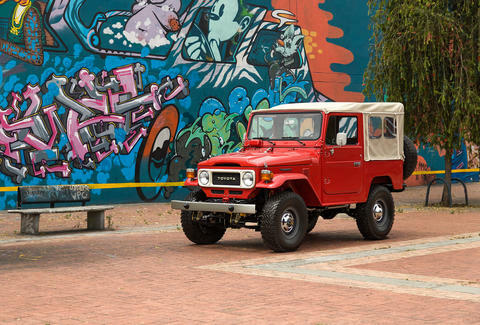 Want a longer-wheelbase FJ43? No problem. ... for the right price, anyway. From a digital speedometer, to a custom roll cage, to a vintage Toyota tool bag (it's really, really nice! ), if you want it they'll make it happen. Yeah, I know that's kind of obvious, but it's a great excuse to show this gorgeous interior. 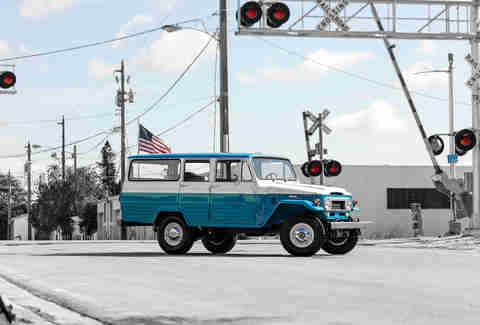 Mind you, the truly custom jobs might stretch the definition of "reasonably affordable," but when you see the job they did with this relatively rare '67 FJ45LV, you'll appreciate what can be done when cost isn't an object. Not a bad makeover, huh? 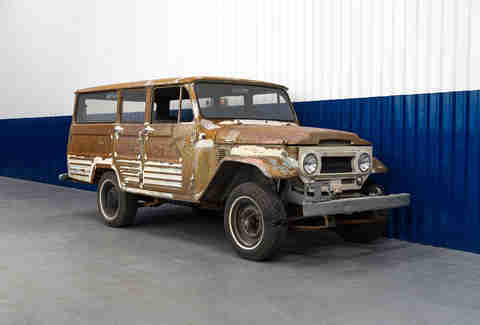 Possibly the best part is that you don't have to already own a Land Cruiser for them to restore. 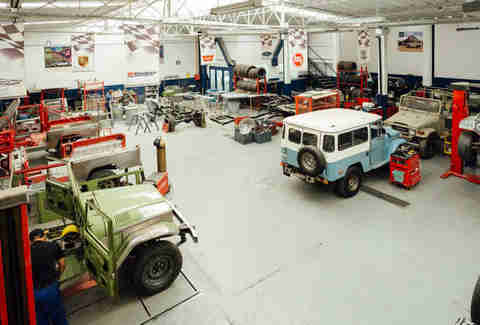 FJ Company keeps a fairly well-stocked inventory on hand at all times, full of Land Cruisers of reasonable quality that can use a little TLC, just waiting to be restored when someone places an order. These might not be the most insane builds out there, but they're certainly among the most practical, not to mention beautiful. Aaron Miller is the Cars editor for Thrillist, and can be found on Twitter and Facebook. 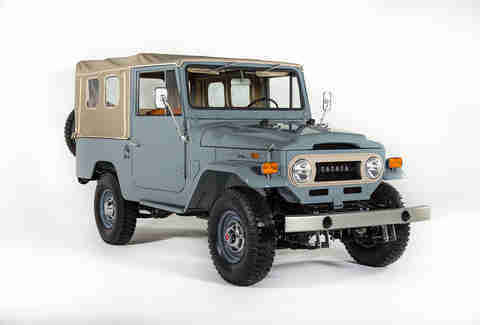 He has fond memories of riding around in an old FJ40 back in high school.